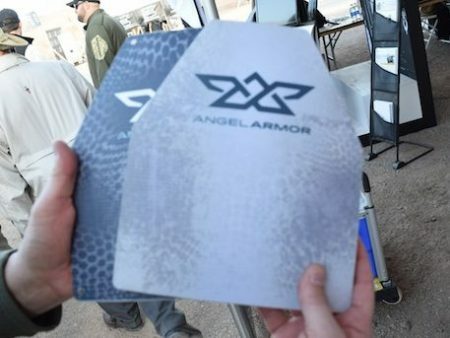 Angel Armor RISE body armor could change the face of law enforcement body armor. 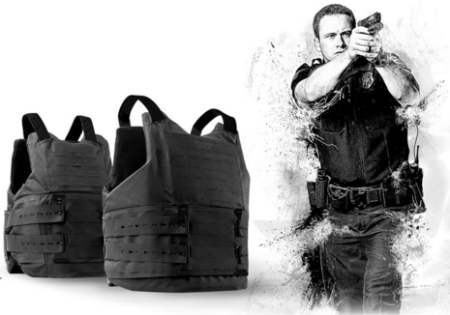 The RISE body armor system starts with a very impressive carrier. One of the first things an officer will examine on a soft body armor option is the carrier. Threat protection is very important, and likely the pivotal decision maker, but a poor carrier can end the consideration outright. There are a multitude of carrier options on the market, but most involve one or two Velcro straps. The larger straps are better, but Velcro is good until it isn’t. 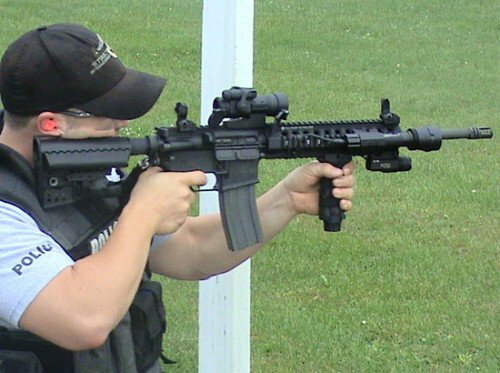 There is only friction keeping the officer’s ballistic vest in proper position and coverage. 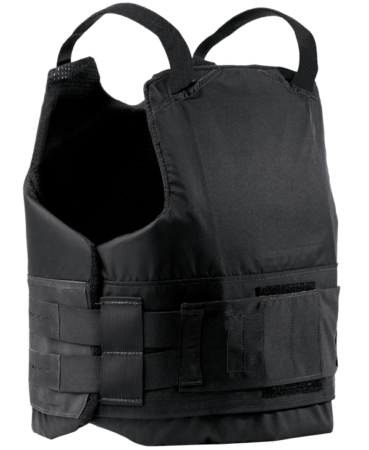 Having a more secure fastening system is ideal, and the RISE solution provides that without sacrificing concealment or ease of donning the vest. The QuadCore system uses key mod holes and Molle quick attach strap with attachment studs. The hook and loop configuration of the RISE armor allows the officer to adjust the attachment belts to their personal comfort level. Key mod holes are distances close enough to offer near perfect fit for a wide range of different sized officers. The proper fit is supported by the ballistic suspension system using stretchable shoulder straps that are firmly attached inside the outer carrier. I really like this design, as I have had my Velcro straps fail on occasion. The RISE ballistic soft armor utilizes a hybrid DSM Dyneema® and an exclusive to Angel Armor, proprietary TexTech® sixth generation Core Matrix Technology™. Dyneema is made from Ultra High Modular Weight Polyethylene (UHMWPE). The Dyneema manufacturing process results an incredibly strong fiber that remains amazingly light weight, suggesting it is superior to Kevlar (an aramid fiber). Dyneema® is produced using a patented gel spinning process where the fibers are drawn, heated, elongated, and cooled. Stretching and spinning leads to molecular alignment, high crystallization, and low density. Dyneema® has extremely long molecular chains that transfer load more effectively to the polymer backbone. So it’s stronger at the same weight or lighter at the same strength than alternatives. 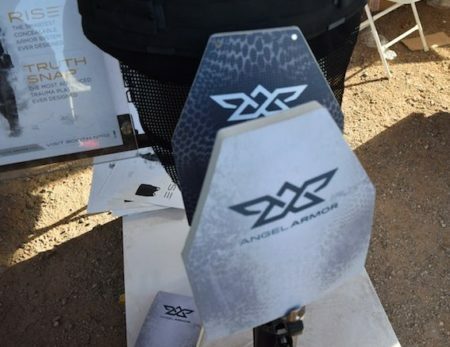 The rear view of the Angel Armor RISE soft body armor. Front and rear panels of the RISE are stacked with low-profile, laser-cut Molle/PALS attachments. 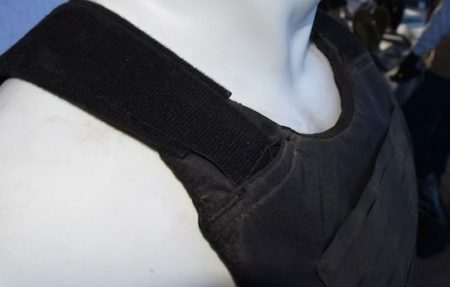 Though more specifically designed for concealment body armor, the RISE could be worn as a load bearing outer vest plate carrier. Additional pouches, magazine holders, and other attachments could overlay the attachment system, if the officer chooses the RISE for that occasion. The cut of the panels provides a significant level of coverage, while allowing the officer good mobility. Unlike some competitors that use a wide circular cut under the arm, RISE panels take a low angled cut into a point. This provides excellent protection for officers in one of the most vulnerable and critical areas for an officer. The lack of proper protection under the arm provides an adversaries bullets a clear path into the critical organs of the upper thoracic cavity (heart and lungs). The suspension straps are securely mounted for proper fit. RISE is designed to protect against NIJ 0101.06 Level II and Level IIIA standards and numerous special threats and is available for both male and female officers. 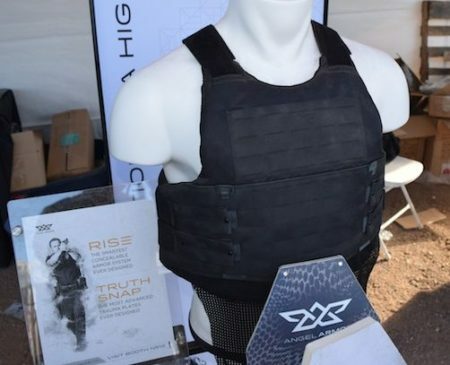 RISE Male Level IIIA Ultra Premium vest is designed to meet the DEA Armor Testing Protocol, FBI 4.1 Body Armor Test Protocol and the USASOC Frag Testing protocol. RISE armor with Truth SNAPS armor plates. High performance CORDURA® nylon and polyester outer shell. Advanced Ballistic Suspension System for comfortable shoulder carry. Proprietary QuadCore Attachment System™ belt loops provide a repeatable fit. QuickLock engagement system with 4 points of adjustment for a tailored and secure fit. Versatile, low profile laser-cut panels for PALS/MOLLE-compatible attachments made of exceptionally durable, tear-resistant material. Stretch and shape-retaining material engineered for maximum mobility and comfort. Tailored belt straps made of exceptionally durable, tear-resistant material. Fully adjustable cummerbund system for superior fit. Customized soft armor in male and female models for a superior, tailored fit. Breathable, antimicrobial mesh liner for odor and moisture management. Critical adjustment and access points reinforced for extended lifespan. Retention tails come standard to help keep carrier from shifting. RISE upgraded armor using Truth SNAP plates provides protection against common rifle rounds, while remaining concealable for patrol officers. Available in NIJ Level IIIA carrier and Level II carrier options. Easy access pocket for insertion and removal of soft armor for cleaning. Concealed internal front and rear plate pockets accommodates multiple armor plate sizes and allows for vertical adjustment. Integrated Truth SNAP plate system – enhanced protection against 5.56x45mm FMJ, 7.62x39mm FMJ (AK-47) and other special threats. 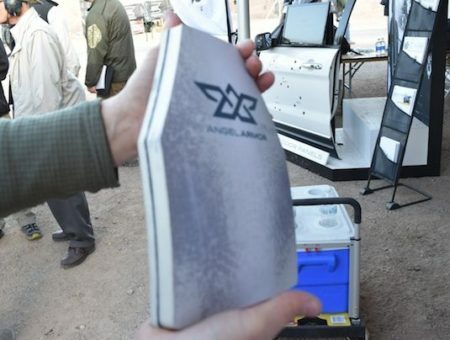 Angel Armor Truth SNAP up-armor plate system at SHOT Show 2016. As well designed as the RISE soft body armor component is, the Truth SNAP up-armor ballistic plates may be what shines the most. The uniquely new trauma plates provide rifle-threat protection, including common AR-15 and AK-47 cartridges, and are designed to be integrated in the ultra lightweight RISE carrier package. The front, shooter’s cut Truth SNAP plates. The squared Truth SNAP rear ballistic plates. Truth SNAP is a concealable two-piece trauma plate system designed to protect against NIJ 0108.01 Level IIIA threats and beyond. The unique magnetic SNAP™ system ensures a strong union and proper alignment for tiered threat protection — making it easier to armor up. 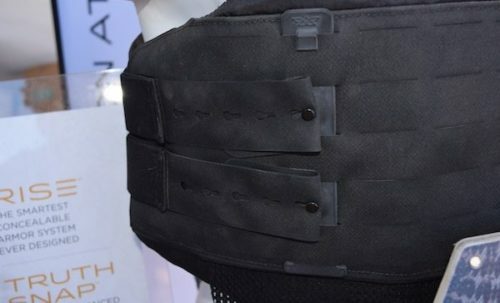 Though many soft body armor companies offer some form of trauma plates that can be inserted into pouches of the carrier, these plates are simply means to reduce blunt force trauma and do not offer extended ballistic protection. 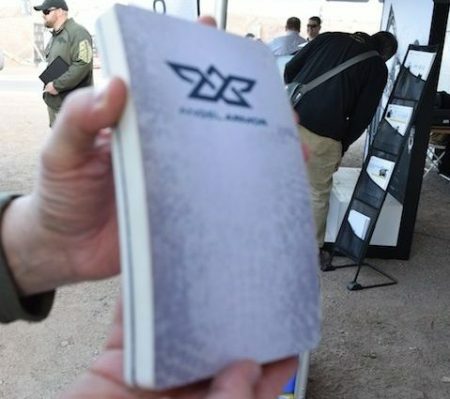 The majority of soft body armor manufacturers do not specifically design their carriers to withstand rifle-graded armor plates. The Truth SNAP plates allow a single plate option for added trauma protection, or both plates for Level III protection. The Truth SNAP ballistic plates are specifically designed to be added to the RISE concealable body armor carrier, thereby up-armoring the system to rifle-grade protection. The availability of rifle-grade protection for patrol officers cannot be underestimated, especially in light of the Dallas and Baton Rouge rifle ambushes. Squared rear ballistic plates provide maximum protection. The selection of body armor should be one of the most important decisions in a police officer’s duty gear selection. Larger departments often select their approved armor, sometimes for the good and sometimes not so good. Smaller agencies often cannot afford to issue armor, leaving officers with the arduous task of selecting quality armor on an often very limited budget. 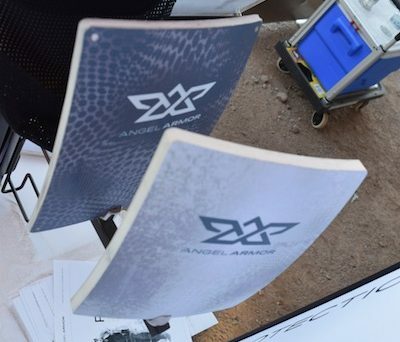 Angel Armor has been a very innovative ballistic armor manufacturer, and we continue to be impressed with their mission-oriented, officer-minded products. 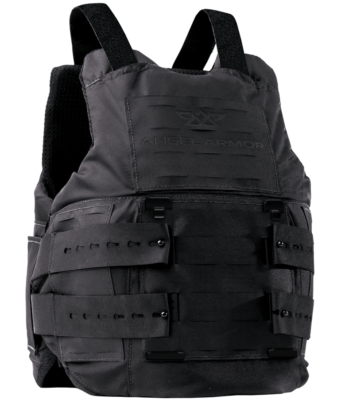 The RISE armor comes with perhaps the most versatile soft armor carrier system on the market today, with Level II or Level IIIA protection. When combined with the Truth SNAP ballistic armor plates, the RISE armor system provides rifle-grade protection in a concealable package. The BlueSheepDog Crew are very impressed with the RISE and Truth SNAP system. However, we have not had the opportunity to field test RISE or the Truth SNAP plates so our endorsement is based upon our personal examination of the products, their innovative features, and Dyneema shoot videos like the one embedded above showing the successful protection they can provide.